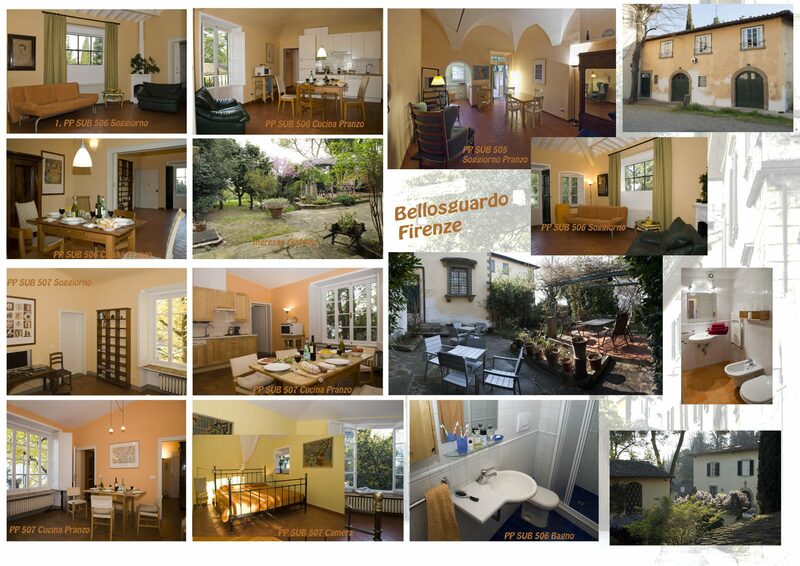 Some pictures of this historical villa of 17th century situated in the place ( Poggiobellosguardo) which has the best sight of Florence. The Villa is represented by a building dedicated to living free on three sides and with a garden of exclusive ownership. The property consists of a Tuscan farmhouse style building and it is completely renovated in 2000.
is also provided with a local cellar basement of approximately 30 square meters. The ground floor has an entrance hall in common with the first floor, living / dining room, small kitchen, bedroom with bathroom, studio currently used as a study, bathroom. 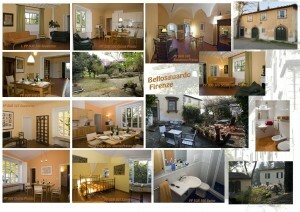 The first floor is composed of two rooms use living room, two rooms kitchen / dining room, two bedrooms and two bathrooms. The property is completed by a land / garden of consistency of approximately 1,200 square meters which is accessible both from the ground floor and from the first floor by an outside staircase.